This is my last review for the year 2011 since I’ll probably be somewhere out there by tomorrow and won’t be back until the second of January so I’ll try to make this substantial as much as possible. 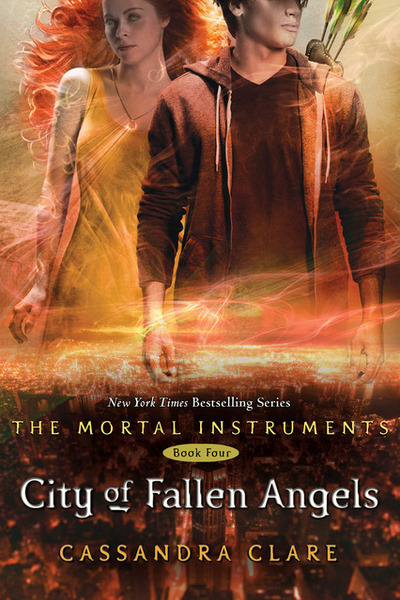 I recently finished reading City Of Fallen Angels by Cassandra Clare. It’s the fourth novel from The Mortal Instruments series. It’s a new story arc that is set two months after the third book which is City Of Glass. Here’s my review for City Of Glass. Anyway, I think it’s kinda weird that people keep on complaining about those unanswered riddles. True, the story ended with a lot of “WTH? !” but I think that’s the exact purpose of first novels in every series. The first novels should “introduce” the story, the characters, the conflict, etc. Hey! If the first one could answer everything then why make it a series? The upcoming ones should build up the climax while the last one should conclude everything. Well, yeah this isn’t exactly a first in TMI but a lot of things happened in the last two months, there are new characters involved and as I’ve mentioned earlier it’s a new story arc so a proper recap or whatever should be written. And I think City Of Fallen Angels did a great job at introducing everything that’s new in this story. So people, stop complaining. Read the last two novels. And if the hanging questions had not been answered up to that point then let’s all complain. haha. Bottom line is I can’t wait for the fifth novel! haha. I’d give this a 4/5 star rating. Add me up HERE, MY MAIN TUMBLR ACCOUNT, MY BLOGGER ACCOUNT, GOODREADS, PLURK and TWITTER. Currently reading The Infernal Devices: Clockwork Angel by Cassandra Clare.